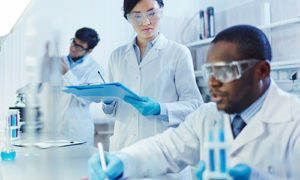 Biotechnology is one of the fastest growing industries in the nation, with a high demand for entry-level workers and two-year and four-year college graduates. In the last 25 years, the US biotechnology industry has created more than 198,000 high-quality jobs, at over 1,400 pharmaceutical, agricultural, industrial, and instrumentation biotechnology companies, plus more at academic and government agencies! Local companies may provide internships for students who have completed the first year of biotech classes at Calhoun. Calhoun offers a Biotechnology concentration for students seeking an Associate of Science degree.